The Supreme Court’s recent opinion in Alice v. CLS has been covered by other blogs; so, there is no need to summarize it here. Some random thoughts did occur to me, however. 1) Most humorous statement from the opinion: “In any event, we need not labor to delimit the precise contours of the ‘abstract ideas’ category in this case.” Alice v. CLS, __ U.S. ___ (2014)(slip opinion at page 10). Of course not — articulating a test for an “abstract idea” might be too helpful to the judiciary, the patent bar, inventors, entrepreneurs, investors, and the economy. 2) In the Court’s opinion, the Court indicated that method and apparatus claims can be equivalents for §101 purposes. Yet, under §271, the Federal Circuit has noted that method and apparatus claims can convey different rights. For example, in NTP, Inc. v. Research in Motion, Ltd., 418 F.3d 1282 (Fed. Cir. 2005), the Federal Circuit noted that apparatus claims could be infringed with some claim elements located outside of the United States, while corresponding method claims must be performed entirely within the United States. This is but one example of how method and apparatus claims protect different subject matter and are not simply one and the same. So, if the PTO takes Judge Lourie’s comments to heart, it seems the battle, during examination at least, will turn on to what extent a patent examiner can rally forth evidence that an abstract idea is shown by cited references. 4) In the future, you might see certain industries pursuing bifurcated prosecution, e.g., filing applications with apparatus claims initially and then pursuing method claims via continuations — or an analogous prosecution strategy. 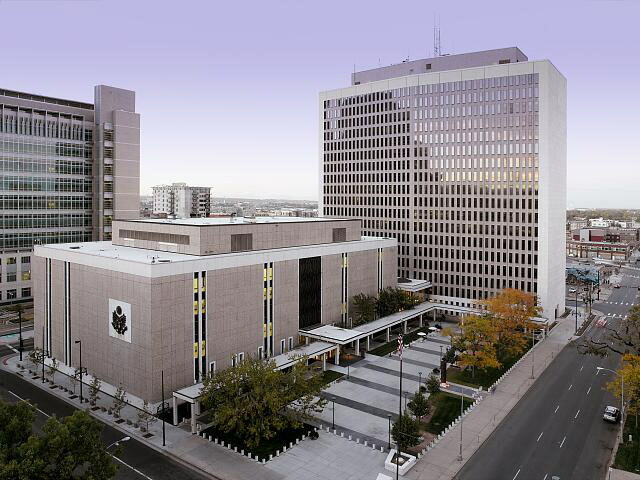 The Denver satellite office for the US Patent and Trademark Office will be opening next week. My understanding is that the Denver office will be the first office outside of Alexandria to have a hearing room for PTAB proceedings. 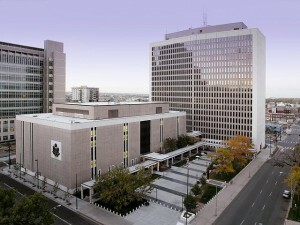 The Denver office will be located on the fourteenth floor of the Federal Building in downtown Denver. If your travels find you in Denver, you might be interested in some of the events in honor of the opening. There is a gala on June 30th at Wings Over the Rockies where 700-800 people are expected to attend. On July 1st, a CLE will take place that includes Hal Wegner addressing recent Supreme Court decisions, Steve Kunin discussing appeals and pre-appeal brief conferences, and Chief Judge James Smith, PTAB judge Dr. Patrick Boucher, and PTAB judge K Kalan discussing post-grant procedures of the PTAB. The link for more program details is available here [Link]. I noticed that the BNA published a copy of the May 23rd speech where Chief Judge Rader announced that he was stepping down as Chief Judge. You can read his speech [here]. The Prost era at the Federal Circuit began today with Judge Dyk congratulating the new Chief Judge on behalf of the other members of the Federal Circuit: [Listen]. On Saturday, May 31, 2014, Circuit Judge Sharon Prost succeeded Chief Judge Randall R. Rader as the seventh Chief Judge of the Federal Circuit Court of Appeals. Chief Judge Prost was appointed to the Federal Circuit in 2001 by President George W. Bush. Chief Judge Prost has 40 years of government service working in all three branches of the federal government. In the Executive Branch, she served as an attorney at the Federal Labor Relations Authority and the Internal Revenue Service, and as both Associate Solicitor and Acting Solicitor at the National Labor Relations Board. In the Legislative Branch, Judge Prost was Chief Labor Counsel for the Minority of the Senate Committee on Labor and Human Relations, and Minority Chief Counsel, Deputy Chief Counsel and Chief Counsel of the Senate Judiciary Committee. Judge Prost received a B.S. from Cornell University in 1973, an M.B.A. from The George Washington University in 1975, a J.D. from the Washington College of Law, American University in 1979, and an LL.M. from The George Washington University School of Law in 1984. You are currently browsing the 717 Madison Place blog archives for June, 2014.